I’ve been quantifying my food for most of my life. Since hitting puberty at the age of 10, I’ve been engaged in a complex mental gymnastics routine, weighing every food choice as either “good” or “bad.” That routine becomes downright frenzied during New Year’s resolution season. Every year, as January 1st approaches, I pledge allegiance to a different food measurement system: Weight Watchers, the ketogenic diet, the Paleo diet. These systems have left me with a mental index of good and bad foods (broccoli: good, bread: bad) and calorie counts (Honeycrisp apples: 130 calories. Gala apples: 80 calories…and significantly less delicious than Honeycrisp apples). I realized I had a problem a few months ago. I joined friends for dinner and savored a rich, spicy Korean rice bowl. Immediately after finishing the bowl, panic struck. There was no way to know the exact number of calories in the dish, which meant I couldn’t log it into MyFitnessPal, a calorie-counting app I’ve used for years. If I couldn’t classify the meal as “good” or “bad,” then I wouldn’t know whether or not to punish myself. The next day, my therapist plunked a book into my lap: 8 Keys to Recovery From An Eating Disorder, co-authored by eating disorder expert Carolyn Costin and her former client Gwen Schubert Grabb. I flipped through the book, landing on a passage that outlined a conversation between the “Healthy Self” and the “Eating Disorder Self.” In the passage, the Eating Disorder Self is panicking, desperate to know the day’s exact calorie consumption. I saw myself in the passage, realizing that my Eating Disorder Self had taken over. I was a chronic calorie-counting app abuser, and I was miserable. So why was I holding myself captive to a food classification system that thrives on guilt? According to a study by Dr. James Hargrove in The Journal of Nutrition, calories were introduced in the late 1800s as an energy measurement unit. Shortly after, the USDA Farmers’ Bulletins began using calories as a dietetics measurement, eventually leading to the calorie’s placement on U.S. nutrition facts panels. Today, calorie counts are displayed on the menus of chains like Starbucks and Panera Bread, thanks in part to the Affordable Care Act’s calorie labeling mandate. Unfortunately, study after study shows that calories don’t paint an effective picture about the quality of our food. Eating disorder expert Carolyn Costin agrees. “Any time someone gets overly obsessed with numbers as opposed to quality of food, it can turn into a problem,” Costin says. Despite the American obsession with quantifying our food, obesity rates have been steadily climbing. Meanwhile, at least 30 million Americans are living with an eating disorder. Calorie counting is nearly impossible to escape in our culture. 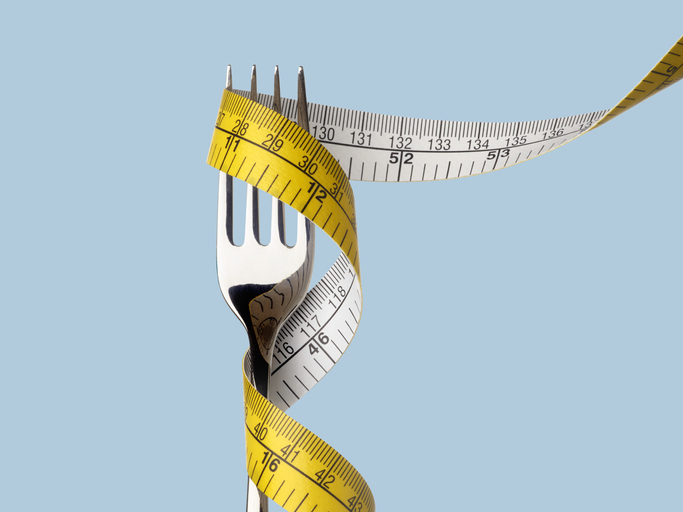 According to Costin, not only is calorie counting ineffective—it’s also dangerous. 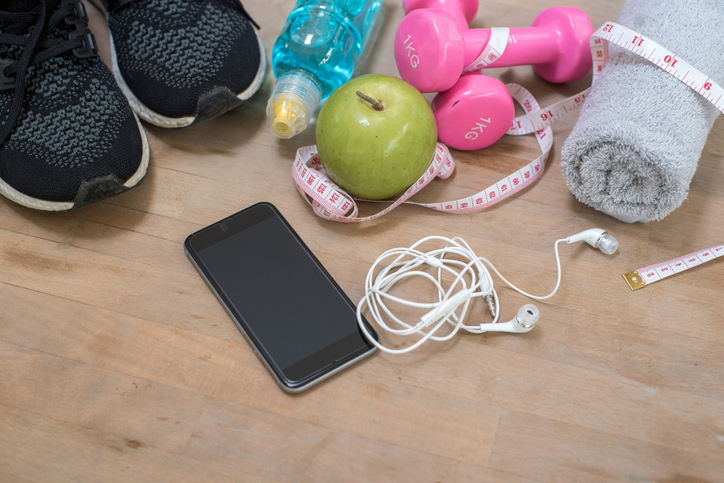 “Even for people who haven’t previously struggled with eating disorders, obsessively tracking calories or other numbers through an app can quickly become a problem,” Costin says. That’s exactly what happened to me. MyFitnessPal estimated my basal metabolic rate (BMR) and allotted me 1,200 calories a day. That’s not a lot of calories. Most days, I’d miss the mark and end up feeling terrible. In fact, the longer I used MyFitnessPal, the more unpleasant my relationship with food became. Deleting the app seemed like an obvious fix. However, even after deleting MyFitnessPal, escaping the system proved difficult. I had memorized the calorie counts of most foods I consumed regularly, so I still classified my meal choices as “good” or “bad.” According to Costin, that’s because quantifying food choices is deeply ingrained into our culture. Take, for example, the Health app, which is built into Apple products. iPhone users are able to delete some built-in apps, but the Health app isn’t one of them. Although the app doesn’t track calories, it does allow users to track fat and sugar consumption, which Costin has found to be a problem for several clients. “For people with eating disorders, you can give them any device and they’ll figure out how to hurt themselves with it,” Costin says. This year, I’m focusing on nutrition, not numbers. Our society’s skewed perspective on nutrition doesn’t seem to be going anywhere. That’s why, when it comes to New Year’s resolutions, Costin urges her clients to focus on positive change instead of restriction. “I focus on having my clients set long-term intentions that set them up for lifelong health—like eating more fruits and vegetables,” Costin says. She also encourages clients to work with a nutritionist to develop body awareness and nutrition knowledge. For me, deleting MyFitnessPal in 2019 is a major step toward a better relationship with my body. Instead of walking a mental tightrope to punish myself, I’ll be listening to my body to figure out what it needs. I think I’ll start by eating more Honeycrisp apples. They really are the better apple. 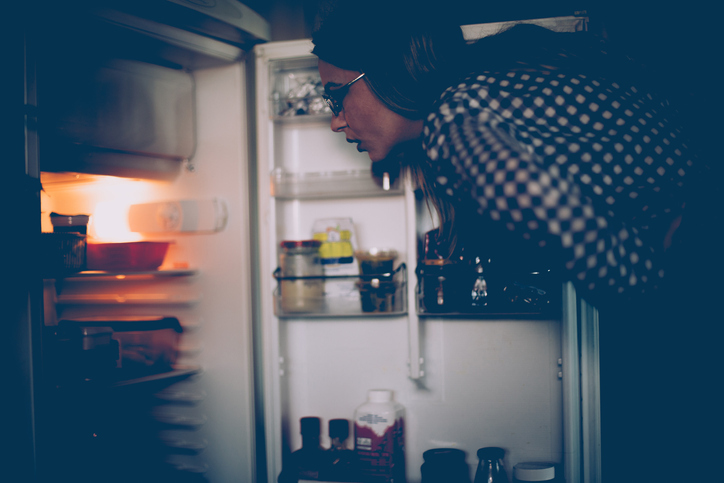 Are you struggling with disordered eating habits? The National Eating Disorder Association offers a variety of resources, including a free screening tool for individuals ages 13 and up.